ROBOTILL allows you to add a Take Away Menu (or something similar) to your tills (Touch screen system or standard computer). The following are instructions on how to add the take away menu but will also work for any other menu you want to add. 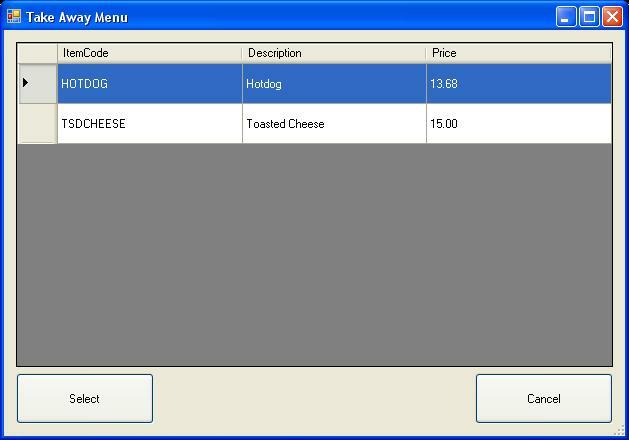 In ROBOTILL Manager add a category for the take away menu. 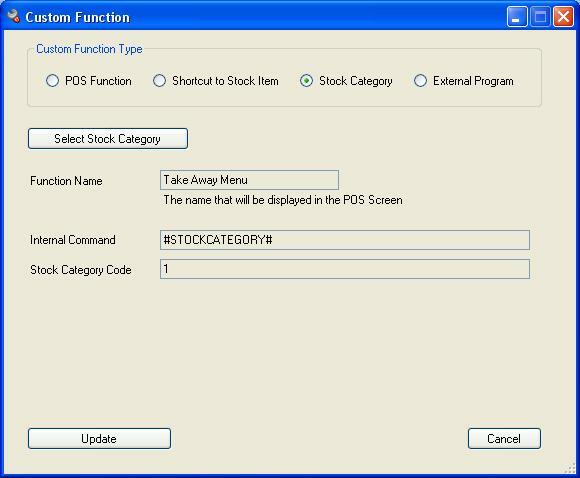 The stock description of the category will be used in the More screen of the POS application. Change the category of the items you want included in the take away menu to the Take Away category (under Stock Maintenance). 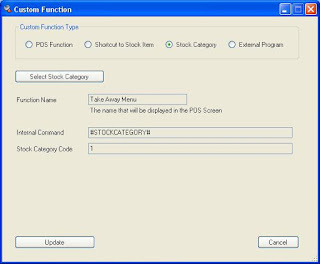 In Manager, go to Setup > Custom Functions and select ‘Stock Category’. Select the category you want to add as a short cut option in the POS screen. That is it. The Take Away Menu has now been added and is available at all tills. In the POS application, the cashier can now click on the ‘More’ button. The Take Away Menu option will be available. 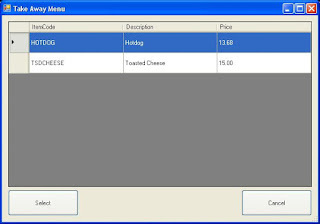 When the cashier select the Take Away Menu option, all the items that is part of that category will be displayed for quick selection.